How Do I Become a Private Therapist? Becoming a physical therapist requires obtaining a degree. An individual who is interested in becoming a private therapist will likely have to open his or her own practice. Before you can become a private therapist, you must choose what sub specialty service you would like to provide. If you're interested in helping children cope with psychological difficulties, you should seek training in child psychology. If your interest lies in physical rehabilitation, you need to understand basic functions of various parts of the musculoskeletal system. To become a private therapist specializing in psychotherapy, you might need to earn a bachelor's degree or participate in a graduate training program. Various requirements may differ depending on the type of therapy involved and the state you plan on practicing in. Perhaps you would like to become a private therapist who practices online. This method of therapy is sometimes referred to as electronic therapy, or e-therapy. E-therapy is helpful for individuals seeking private and confidential therapy from the comfort and convenience of their own home. This may be a practical way for you to become a private therapist. Keep in mind that if you decide to become an online therapist, you will need to be able to utilize online programs and tools, such as video conferencing and web chatting. Regardless of whether you choose to become a therapist that practices online or from a private office, you will need to become licensed. To become a private therapist in psychology, you will probably need to complete a few years in graduate training. If your chosen field does not require a bachelor's degree, you will most likely have to obtain a master's degree. To become a private therapist or self employed practitioner, you will most likely need to open your own practice. If money is a major concern, a good idea is to try to get hired at a community healthcare center until you can afford your own practice. After you establish a loyal clientele you can focus your efforts on opening your own private practice. 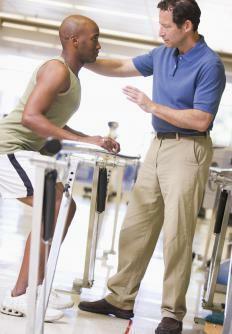 If you are interested in becoming a physical therapist, you will need a degree. 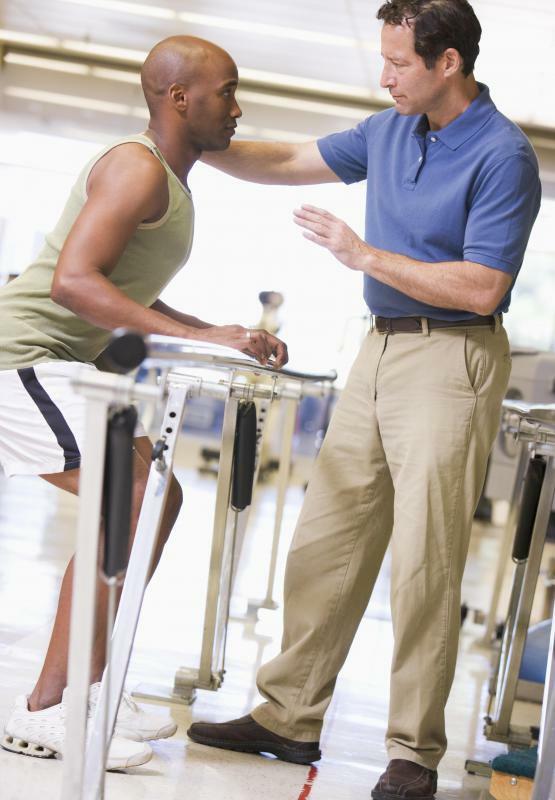 To become a private therapist in physical rehabilitation, you will need to grasp the fundamentals of science. If you have excelled in branches of science, such as biology and chemistry, becoming a physical therapist is a good option. After you obtain your degree and pass the licensing examination, you should follow up by inquiring at various rehabilitation centers and private practices. Explain your interest in becoming a private physical therapist and ask for their advice and input. Even if the private practices are not hiring at the moment, perhaps you can become involved in an internship program. This could be good experience for you as you pursue your ambitions to become a private therapist. How Do I Become an Online Therapist? What Does an Online Therapist Do? What Does a Private Therapist Do? How Do I Choose the Best Insurance for Therapists? What does a Bulimia Therapist do?